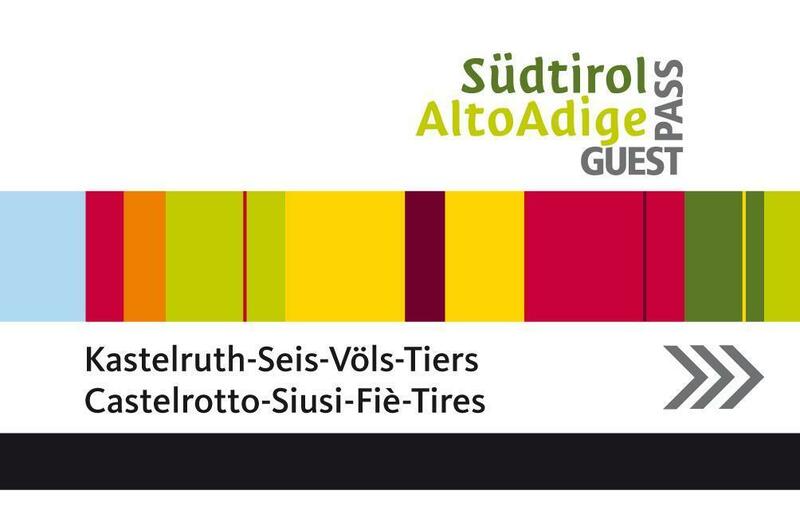 Our guests get the Südtirol Alto Adige Guest Pass free of charge. The card facilitates holidaymakers’ exploration of the Seiser Alm holiday area as well as the wider region of South Tyrol, providing a single-ticket access to all types of public transport, such as train, bus and cable cars. The Card is valid for 7 days. Guests who have booked a longer stay, receive a second card after 7 days. The tickets are personal and non-trasferable and need to be voided each time you travel. Dogs don't have the right to get the client card and have to pay the regular fare in the regular busses. The transfer of dogs in the shuttle busses is free of charge. The Alpe di Siusi/Seiser Alm Combi Card is perfect for those of you who would like to discover the marvelous scenery around Fiè allo Sciliar/Völs am Schlern without having to use their own car. Frequent shuttle buses connect the villages of Fiè/Völs, Siusi/Seis and Castelrotto/Kastelruth both in summer and winter, and take you to the valley station of the panoramic cable car to Alpe di Siusi/Seiser Alm in as little as three minutes. The bus stop is located at only 120 meters from Camping Alpe di Siusi/Seiser Alm. Every half an hour, both shuttle buses and regular buses take you from there to your desired destination. We also strongly recommend the Combi Card or the Nordic Pass (for cross-country fans). 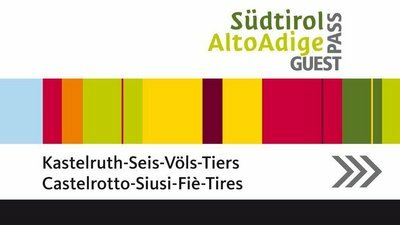 These advantageous offers allow you free access to all public transport in South Tyrol. The Alpe di Siusi/Seiser Alm Combi Card and the Nordic Pass are available in different versions for three, seven or 14 days. The offers give access to the Alpe di Siusi/Seiser Alm panoramic cable car as well as to all public transport in South Tyrol. The “3 in 7” Combi Card lets you use the cable car three times, the Combi Card 7 seven times, and the Combi Card 14 fourteen times. Find all rates and timetables here. The Nordic Pass also includes free access to the cross-country tracks. Have a look at the latest timetables here.